Skip the line-up at the coffee shop and make your own white chocolate pumpkin pie steamer at home. The perfect treat for chilly fall days! Fall is such a gorgeous season. I love taking in the colours of the landscape on our evening walks, slipping on boots along with chunky sweaters, layering textural throws and pillows on the sofa, and making hearty soups and stews that seem to warm the soul. The list could go on and on, couldn’t it? One thing I can’t get to fast enough in the morning is my cup of coffee. Black with a touch of cream is how I like it. It’s the time of day when it’s just me (my husband heads out the door way too early to see him off!) and everything’s quiet. I’m truly a morning person (if I get my one cup of coffee). As the day wears on, however, I tend to switch to tea. Especially when it’s cold outside and it takes everything in me to stay warm (darn thyroid). Sometimes, though, it’s nice to try something a little different. Especially around 3 p.m. when I’m feeling that mid-afternoon slump and my body needs a little fuel to keep going. That’s where a pumpkin pie steamer (or a bit of heaven in a cup as I like to call it) comes into play. I tend to like my steamer on the less sweet side. You can adjust the amount of white chocolate you add to make it more sweet (if that’s how you roll). The nice thing about this steamer is the lower caffeine. I also like that it doesn’t have a bunch of refined sugar in it (like those from the coffee shop). Plus there’s no line up! The milk and pumpkin have protein, which makes it a good after school snack for kids. I love the subtle spice of cinnamon, ginger, nutmeg, all spice and cloves. Warms me up and tastes like pumpkin pie in a mug without all of the calories. Enjoy! 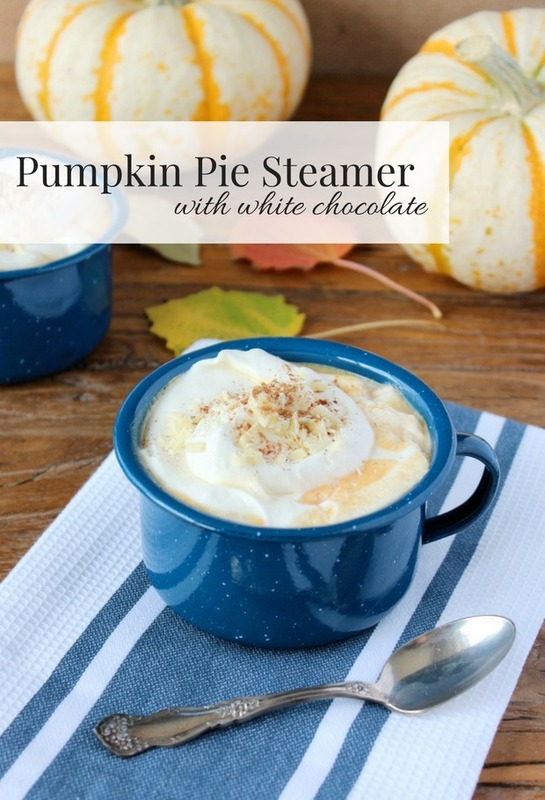 Skip the line-up and make your own white chocolate pumpkin pie steamer at home. The perfect treat for chilly fall days! Add milk, pumpkin puree, spice and vanilla to a blender and combine until smooth. Pour into a saucepan, add white chocolate, and heat on medium-low until hot, stirring often. 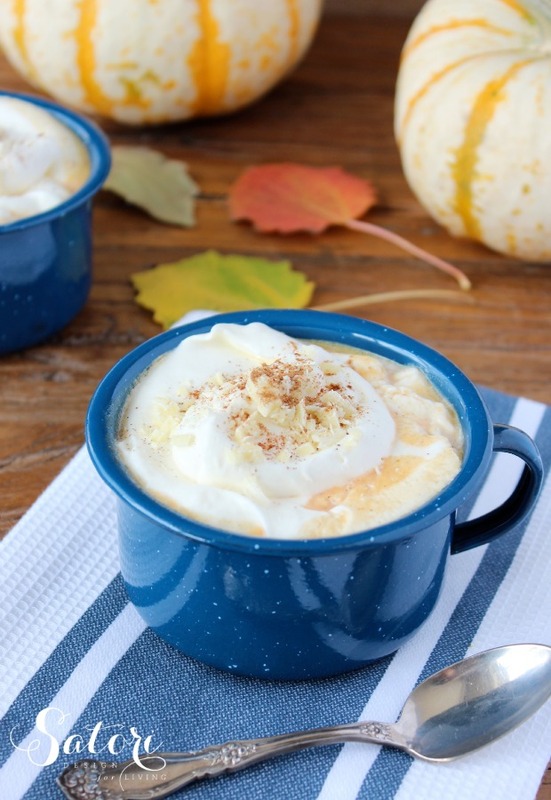 Pour into mugs and top with whipped cream, white chocolate shavings and a bit more pumpkin pie spice. Makes enough for 2 large mugs. 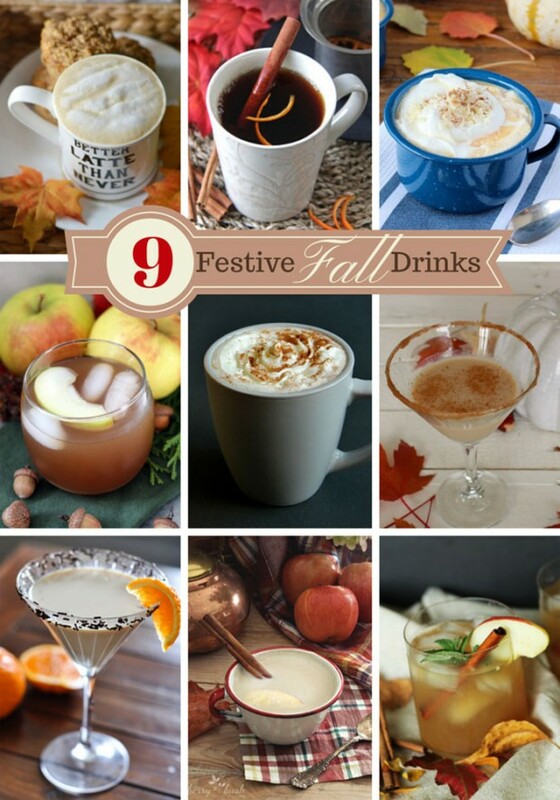 Looking for more fall drink ideas? Check out these delicious recipes from some of my friends. They all look so good! One more to add, Spiced Cranberry Apple Hot Punch from Clean & Scentsible. MMMM.. looks so tasty, I’ll be getting cozy with one of these this weekend! helllooo pumpkin season! Have a great Thanksgiving, Virginia! Love this! I am currently avoiding sugar and dairy so I can totally have this with the little bit of chocolate you have in the recipe. Will definitely try for a treat! I’m with you on the sugar. A bit of white chocolate adds some creaminess and sweetness without going overboard. Thanks Shareba. I’d love to know what you think of it! Yuuummmm! I like the mix in this recipe and have added it to my weekend list of things to see, ‘try’, and do! Thanks also for sharing the other recipes!! YUM!!! That might be a very nice alternative to actually having a slice of very bad for you pie. I love it, sounds delish!!! What a wonderful round-up of comfort drinks – I liked them all but yours sounded extra good!! Oh yum…this recipe sound divine! I love anything pumpkin, so I just know this would become a fast favourite! I’ll be trying this recipe soon!